Maybe you’re worried that he might find you too intense and back off, or you’re worried that he might fall into someone else’s arms. Whatever the case may be, I got 5 awesome ways to make him feel an intense, burning desire for you. Most women assume that guys want to sleep with a girl as fast as they can. But in my own experience, I found that you’re more likely to pull him in by being friends with him. I know that sounds scary because this might get you banished into the Friend Zone. But the idea here is to not hop in the sack with him right away and draw it out a bit. Believe it or not, many guys love the sweet torture of a “slow burn”. If you play it right, you can keep up this dance until his desire reaches a point where he can’t stand being ‘just friends’ with you. He’ll want to take things to the next level. A good relationship happens when a couple has the habit of communicating in a gentle, loving way. Of course, in the real world, this isn’t always the case, especially when they get into a disagreement. But for the most part, a relationship thrives when there are more words of affirmation than hostility or criticism. That’s why a guy is more likely to respond positively to a woman who recognizes his strengths and celebrates them through words of affirmation. For example, you can compliment him on how great he looks on his new shirt, or even just the way he remembers all that Star Wars trivia. Whatever qualities that you love about him, make sure to acknowledge that and point it out to him. Have you ever noticed how some couples just seem to complement each other? I’m talking about the way they finish each other’s sentences or already know what the other is thinking without saying a single word. You can see this common quality in happy couples, whether it’s your best friend and her husband or your 90-year old grandparents’. They just seem to connect on a deep, unspoken level. In order to emulate that quality and set the stage for you and your guy, you can start with body language. Of course, a long-term relationship requires you to develop a bond through shared experiences and the like. But matching his facial expressions, for instance, is a great way to lay down the foundations. For example, if you’re out on a date with him and he’s having a good time, he’s likely to have a happy, satisfied expression on his gorgeous face. What you can do is match the brightness of his smile and instantly, that will allow you to create an emotional connection with him. It’s nothing short of magical, and it will certainly feel that way. When you start doing these things today, you can start putting your relationship on a better path. Treat these as habits you can adopt into your daily routine, like making deposits in a bank. Pretty soon, your relationship will be rich with love and you’ll have plenty of it to go around for years to come. But did you know that you can also say a few select phrases to a guy and make him instantly fall in love with you even HARDER? 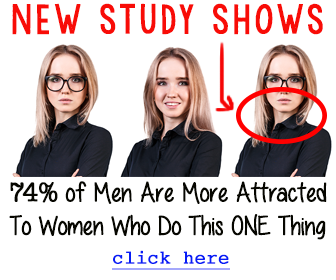 It sounds crazy, but there’s a combination of words that can literally change a man’s emotional state and generate red-hot feelings of passion for you. The truth is that it’s based on an obscure psychological principle. Any woman can apply this through a combination of certain words that will create a powerful effect on the way he thinks about you. It’s almost like re-wiring his brain so that he can’t imagine spending the rest of his life with anyone else but you. Honestly, it’s a level of devotion that’s almost scary.